I cannot even. . . .I ended this book in a puddle of tears of happiness and my heart was so full! Review to come. Never before have I felt so utterly under-qualified to write a review. This book was way outside of my normal scope of reading material, and I confess to first person, historical not being my preference to read these days. White Wolf is one of those books that leaves you confounded, intrigued and simultaneously uncertain of just what it is you are going to be reading. I had no idea going into this book that it would tear me into pieces with its delicacy, forthrightness in the depiction of the slave trade and the themes of forgiveness and redemption.What started out as an intriguing question needing to be answered, turned into something so much more than I could have envisaged.There were so many twists and turns, so much heartache and sorrow, that I cried myself to sleep because it was so beautifully elegant.Ms. Lash's writing goes beyond anything I've ever read before, there was so much to love here, so many layers, and so much beauty to be found amongst the ashes.If you want to read a more literary style book, filled with poignancy, and themes of forgiveness and redemption, I'd highly recommend this beautiful treasure to you. This book is beautifully written and completely different from anything I have ever read before. This could partially be due to it being slightly off-set from my typical preferred genre, but I think it was more than that.There are fantasy elements to this novel, but they are extremely subtle. For the most part, this story reads like an historical romance, though the romantic elements are also extremely subtle and woven into the story in such a way that make it almost seem that they aren’t really there, or that the story doesn’t need them. There’s a hint of steampunk, a glimmer of Christian Inspiration, and a whole lot of adventure. It’s one of those books that just sort of has a bit of everything. And while it boasts no dragons or magic or dark lords of evil intent on conquering the world (or… are there…?) it still captured my heart completely.The characters truly step off the page. Though books written in first-person present tense are not usually my favorite, I found that I did not mind riding around in the main character’s head. Perhaps it is because Izzy feels more like a real person than a caricature, as can often be the case with first person present tense stories. She is a character who is unsure of who she is, she has holes in her memory and cannot remember anything prior to coming to live at Gudwyne cottage—though she knows she was burned in a bad fire at some point before then, she has the scars and the memories of being cared for after they happened, but she does not know how or why she was burned. And yet, her uncertainties do not define her. She is not crippled by her doubts and fears, but works to overcome them, and even uses them to spur herself on when faced with adversity.Jonathan is Izzy’s self-appointed guardian. Though he is only 8 years her senior, he has been taking care of her since she was seven years old. Back then, Izzy gave him permission to keep her past a secret, to hold her memories for her. But now, Izzy is eighteen and starting to feel the weight of those secrets… she wants to know who she was and what happened to bring her to the Gudwyne’s, but Jonathan seems unwilling to loose the secrets he has been holding for the past eleven years…. so Izzy sets out with her young friend, Tubs, to find the answers to the secrets Jonathan refuses to tell her. However, in spite of her curiosity, she is unprepared for the truth. When she sees a glimpse of what has been hidden from her, Izzy is not sure she will ever recover… or see Jonathan the same way again.But events are transpiring swiftly, and before she can begin to cope with the fragments of her stolen past that are returning, she finds herself thrust into a new adventure across the ocean to the New World, where the rest of her history and heritage lie waiting for her to claim them, as well as her rightful place among her true people.There were moments in this story that made me laugh out loud. Izzy has a no-nonsense, self-deprecating sense of humor, and her stray thoughts are often truly amusing.There were moments in this story that got me a little choked up. And there were moments in this story that had me sobbing uncontrollably and incapable of reading further until I could clear my eyes of the tears that made the pages swim into an unreadable jumble of blurry letters.There were surprises, and adventures, and a beautiful Christian message of forgiveness and salvation woven throughout the story in a way that was both gentle and not-at-all-preachy or allegorical. If you like stories such as The Sign of the Beaver, Hind’s Feet on High Places, Pride and Prejudice, and The Ilyon Chronicles, this book is one I think you would definitely enjoy: it has elements of all of these. 3.5 stars to this massive tome. :) Not because there was really anything wrong with it, it's just...not my genre.LIKES: -Izzy was a precious girl who wasn't perfect. I loved her journey of finding herself (something most young women can identify with) and how she wasn't typical looking. She has lots of scars from severe burns when she was little, and she's not super skinny (!!!) and she's mixed race--but which races? You won't hear it from me ;)-Jonathan. This is my favorite sort of book hero. The guy who's selfless and wonderful and still manages to not be quite perfect. He's close--and that will be expanded a little under the dislikes section--but he's still amazing.-The setting. It was always so lavishly described, and felt very real. I loved the misty feel of the manor in England, the haunted feeling of the old ruins, the blurry, cold sensation of America...all of it was just so well done.-TUBS. This kid. *howls, sobs, rips out hair* The little boy characters are always my favorite. One of my favorite things about Tubs is that he's still VERY LITTLE BOY-ISH. Like he's precious and sweet and adorable and all that good stuff...but he gets annoyed by Izzy being feminine sometimes and complains about "girly" stuff and is generally amazing. I love Tubs.-Tubs' and Izzy's relationship. And yeah, I know this should go with their characters, but...I just absolutely love the adopted sibling dynamic. That's another of my favorite things to find in fiction--the beautiful sibling relationships between two kids who maybe aren't really siblings, but are close enough to make it seem like it. I absolutely loved them, and HUGE kudos to Tammy Lash for representing that sort of relationship so well.-The plot twists came at a wonderful pace and kept me reading. <3-Brother. ^_^ -The whole Native American aspect! I absolutely LOVE books that show Native American society as just another society and don't spend all their time painting them as "savages," so that was something I really loved about White Wolf.DISLIKES-The genre. I mean, that's my own fault...but I'm just not a his-fic kind of girl! But that's okay--this is one of the books I'm going to buy a paper copy of for each of my two younger sisters in a couple of years. They both love historical fiction, and...you know. They'll love White Wolf in a few years. -The plot/pacing. While the twists were well-paced, a lot of this 420-page tome was slow and description heavy. Which is okay! Just not so much my thing. *shrug*-(view spoiler)[TUBS! THAT WAS NOT OKAY! (hide spoiler)]-The twist towards the beginning, with Jonathan? Didn't really make sense. I was speed-reading before church so I may have missed it...but I just wasn't sure what everyone was so mad about. (view spoiler)[Like, they meet in an abandoned basement as a ship's crew. Okay. Big deal? Hmmmm.... (hide spoiler)]-The resolution came a little too quickly for my taste...although let's face it, the romance was beautiful. <3 -Not a fan of the "villain". I felt like the story was interesting enough on its own that they weren't necessary. But ya know. *cries b/c this villain led to something I absolutely hated...*CONTENT: VIOLENCE:An important character was critically burned as a small child and there's some descriptions verging on graphic to deal with that. A man tries to beat a woman at one point. Several deaths, more heart-wrenching than violent for the most part. Hunting and battles, including injuries. Slavery is talked about in detail. LANGUAGE:I don't think there was any? There might be a couple of very minor words, because a lot of characters are dirty sailors--but I don't think there was much.SEXUAL: Some kisses, most of them on the cheek or forehead. A potential arranged marriage. DRUGS, ETC. : I feel like there was some drinking from adult characters? But again, I could be wrong? Nothing that seriously made an impression on me. Overall, 3.5 stars, and a book I can't wait to give to my little sisters when they're a bit older! This is one of those stories that gets under your skin and consumes your soul. Ms. Lash's debut novel is a rare treasure indeed. Rarely do books these days move me to tears, but this historical Christian novel with just a dash of steampunk and fantasy did just that. I reviewed this book back when it first released but somehow I must have forgotten to post it here, so I'm going to rewrite it because this book deserves it! !One of the things I loved most about this book was the characters. They are so real they felt like my friends by the time I finished reading, and left me longing for more. They made me laugh, they made me cry, they made me mad, they made me sigh...Jonathan was such a terrific tragic hero, truly swoon worthy and at other times SO FRUSTRATINGLY MALE lol. I couldn't help but fall in love with him. Izzy was spunky, fragile and so real, I felt as if she were a mirror of myself at times. And Tubs, don't get me started on him because I could talk all day about him.I'm not usually a huge fan of historical fiction, but this story cured me for the genre. Ms. Lash had such a fresh perspective on how she dealt with history and yet made it her own world at the same time, with hints of steampunk technology and just whispers of fantasy. Her White Wolf legend was absolutely stunning, and how she weaved it throughout the story...so well done. Usually, I like to leave at least one constructive comment on what I would have liked to have seen differently, but I loved everything about this book. I think the only thing I can say is, "I wish it hadn't made me cry" LOL because it truly was wrenching at times, yet the ending is so full of hope and left room for the next book in the series. I can't wait to read book two.Content: I would rate this story PG-13 for thematic elements. There is no language or sexuality in this book. I was really intrigued by the concept of the book, and overall thought it was executed fairly well. I was just confused on some parts such as time period and location in the beginning, and there were a few bits where it transitioned and I felt like I had missed a "scene". But it was a really neat book! I loved how the author worked in the Native American culture! I felt like I got a really good snapshot of the culture and the time period this book took place in with descriptions of America and England. I kind of wanted more in America rather than in England. ;) I really liked Izzy. All her fears and doubts were powerful and I liked how things wrapped up in her arc. Jonathan...kind of frustrated me. He was not my fav. I'm kind of on Cook's side about certain things. Also, so many secrets going on kind of got irritating, but once we hit the middle of the book, things really got going and the plot picked up and we finally started getting answers, so all was forgiven. :P This book was a fun change of pace from my normal fantasy/sci-fi reads. I do enjoy some good historical fiction. The romance bits were really cute, also frustrating when it came down to a certain male lead...but happy feels at the end. A beautifully written story. It blends rich world-building with delightful character interactions to create something deeply profound. Fantastical elements are used with a very light touch; which puts the book a little outside my usual genre. However, the subtlety of the magic here was natural and satisfying rather than frustrating. I was particularly impressed with the use of a culture not often explored in fantasy or historical fiction. Highly recommended. 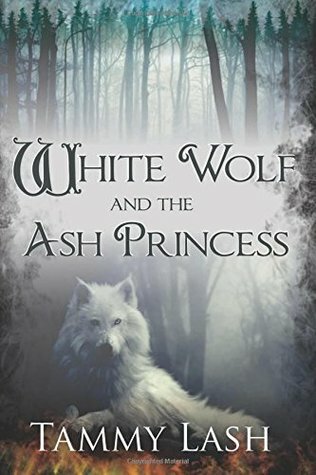 Set in 17th century England, White Wolf and the Ash Princess is the tale of 18-year-old Isabelle “Izzy” Gudwyne who has a painful early childhood which haunts her even though she can only recall very brief snippets of memories. The story chronicles her journey of discovery; not only of her past but of who she is. It is narrated in the first-person perspective by the character of Isabelle. The author uses an interesting style of writing that employs the present verb tenses in a way that is a bit unique, resulting in a sort of “living-in-the-moment” feel to the story for the reader although it took me awhile to get adjusted to it. Lash’s prose is quite verbose and it takes a few chapters to get acclimated to her style.The characters are vivid and lifelike. Lash certainly knows how to write characters that evoke feelings in the reader. Throughout the book, I felt a range of emotions including frustration, compassion, anger, and sadness. The major characters are a very complex lot; no one-dimensional characters here. There are two sides to this coin though. On one, the characters are certainly not flat, they’re interesting and they don’t fall into that “too perfect” category, making them unrelatable which is often a problem first-time writers have. But on the other side, our main characters of Izzy and Jonathan, are so complex that we are continually pulling back layers of the character through the entire book and I didn’t ever really reach a place where I felt like I knew them.The plot is intricate and well-thought out. There were a few twists in the latter half of the book that were quite nice. The character’s backstories are dripped out in a mostly cogent manner that keeps the story flowing. However, I did have some issues with several of the story elements. First, there we some technological elements that felt very out of place in a work of historical fiction set in the 1600’s. Second, there were a handful of instances of odd word choices that jumped out at me, such as “cute”, “jigging” (referring to dance), and “fan” (as in, to be a fan of), to name a few. While it’s theoretically possible for our characters to have known the word “cute”, it is quite unlikely and that specific usage of “fan” was not even invented until about 200 years after this story takes place.In addition to the aforementioned anachronisms, the story pacing is almost painfully slow in places. Most notably, is that in the first nearly hundred pages of this 400+ page tome, there is almost no action. There is a little backstory given, but it is mostly an incredibly long and slow-moving story foundation. After you pass that point, things begin to pick up and for the most part maintains a nice pace without too many moments of lagging, but I really think that the beginning could have been heavily edited to get things moving sooner. I fear that many readers will not wish to trudge through that first quarter of the novel to get to the payoff. Also, I think it worth mentioning that once I did reach the end, I found that several details of the main plotline were never fully explained, leaving me puzzling over those elements; and not in a pleasant, “mulling-over-the-developments” sort of way, either. I was a bit miffed that certain things (which shall remain unmentioned so as not to spoil anyone) were not made clear.On a much more positive note, Lash uses this story as a vehicle to address some very real and important issues and I really appreciated that. There are themes of overcoming a painful past, dealing with guilt and anger, and working through feelings of self-loathing that are woven throughout the tapestry of these vivid characters’ lives and these subjects are handled in a thoughtful and heartfelt way. But it’s not only negative emotions that the author draws upon in this story. There are wonderfully tender moments of redemption, forgiveness, and learning to trust God.Overall, this book has some really wonderful things going for it; great characters, a rich historical backdrop, and well-illustrated themes with beautiful Scripture sprinkled throughout. Based on the Acknowledgements and Author’s Note sections, I can tell that Tammy Lash put her heart and soul into telling this story. It is born from a place of hurt and triumph, tears and laughter. And I respect her for pouring so much of herself into this novel and being vulnerable with certain aspects of her life. Reading her Author’s Note really made me appreciate the book. There were quite a few things which I thought could have been done better, but I have to say that I am not sorry that I read this book. It has not become an instant favorite and I am still undecided whether or not to read the forthcoming sequel, but I am glad I read this one. And I will probably pick it up again at some point and re-read at least the latter half. I would recommend this for mid-teens and up. There was not a single thing that I thought was inappropriate, in terms of content. Previously posted on Purely by Faith Reviews.My Review:I tried my hardest to keep spoilers out, but I think some may have slipped in. Read at your own risk xDFor the first hundred pages, I was on a roller-coaster ride of emotions! I felt like I'm under-qualified to write this review because the words were not coming - literally. I feel bad because I was supposed to finish this earlier today, but it took me longer to read it since the last couple of days have been wacky, with my dad and sister out of town and trying to handle my little baby sister with my mom as well as my siblings. It really took me a bit to figure out what I wanted to say about this wonderful book and how to say it. Hopefully I was able to express my love for it the way I wanted to. :)So, this is a forgiveness story, and although Izzy eventually learns to trust God, the book does not come off as preachy at all (although I am fond of those most of the time) and would be something great to read for those who prefer books like this. The story was really intriguing. Like, I did not expect the twists and turns. I figured out what character was going to die way before it happened but the effect it had on me still made me nearly cry(, because I couldn't cry in front of my siblings).I kind of like Izzy, but I really didn't like how she treated Jonathan. It ends up making sense later when I realized this was like a forgiveness story, but still. Anyways, it was really cool to see her character change, and see her grow closer to the Lord. It was really interesting to discover more information about her past, and about herself. It's really hard not to spoil anything about her..Now, Jonathan. I had a love-hate relationship with him at first. I had some assumptions in the beginning about him, ones that weren't good, and I'm glad everything turned out all right with him. I really enjoyed reading about him as the story went on and he's probably a favorite character of mine.I really got attached to Miss Margaret because she was the mother figure. Although she sometimes annoyed me, most of the time I was just wanting to give her this big hug. <3 It was really hard to watch her go. Like, I really my eyes watered and it was just really emotional.Tubs was just my favorite character and I just fell in love with him (not literally though). I was fond of him from the beginning and I'm still upset about what happened... but I must get over it. I really liked it when we finally found out his real name. It was kind of a funny twist on the whole thing. My only issue with him was that, although he was thirteen years old, he acted a bit younger for his age. Now I know guys can be goofy, because I've seen it with my own eyes at my youth group in the past, but it just was a little weird for me.The writing was a little confusing at times and the way things were worded also confused me. I didn't get a huge historical feel from the book until way later, but that's not a bad thing (at least for me). :)The only issues I had were when Jared mentioned himself being a cannibal. I understand he was the villain, but it was really unnecessary. The romance was a bit uncomfortable, a snuggle scene in bed, but otherwise clean. The cover partially doesn't make sense to me since I thought Izzy had darker skin? I'm rating this book five stars because I see no need to deduct any for the few content warnings. I thoroughly enjoyed this book and I think anyone looking for a new forgiveness read that does not come off as preachy should pick this up.Content Warnings: A couple kisses between a husband and wife that were semi-detailed; same husband and wife snuggles a bit. Again, a character mentions himself being a cannibal. Death, some violence (gunshots, injuries ,etc). A character reappears as an angel, telling the main character it was not her time to go (I didn't really have a problem with this, but others might).I received a copy of this ebook from the author (thanks, Victoria and Tammy!) in exchange for an honest review. I was not obligated to write a positive one. Beautiful. That's all the words I have for this. Absolutely beautiful ... and not at all what I expected when I first cracked the story open. 3.5 starsThis book was overall enjoyable. The plot and pacing are slow, but that makes it a nice, relaxing read. I adored Jonathan, Izzy, and Miss Margaret, and they were fun to follow. The prose held my attention (which doesn’t happen often for me with longer books). Plus, the Christian themes were done well and were believable. However, there wasn’t much conflict at first and the plot points could have been stronger, and in the second part of the book, it was hard to keep track of the “white” and “red” names and who was related to who.I’d recommend this to girls 12+ who like charming fairy tales. There was minor violence (possibly more that I didn't notice; I don't have the best attention span), but no language. The plot was based on the author’s own abuse story, but as she says in the interview below, she uses third-degree burns to represent her scars so there’s no mention of anything inappropriate. There’s not much else to say about content in the romance department, except for a couple kisses and two people falling asleep against each other (happening between an engaged/married couple).Read the entire post and my interview with the author here! When I first received this book, I had no real idea of what to expect. Not even the genre of it! Having read it, I'm so glad that I didn't, because I wouldn't normally pick up a historical fiction book and this one would be a shame to miss out on. Tammy Lash has done a beautiful job, breathing life into her characters that had me wishing I could hug them one time and another time wanting to grab them by the shoulders and shake them! I thoroughly savored the richness of her world. Her writing is so vivid that every time I opened it, it felt like I'd stepped through a time portal to a place that I could taste, smell, and touch. Familiar, but so deliciously new. The author's love for the will-not-be-named-because-it'd-be-a-spoiler culture really shines through.This is one book that made me not care that the clock read three am, I just had to read one more chapter! I loved this book and I'm eager to read the sequel. I would highly recommend this book to anyone who enjoys a good historical fiction or is looking for something new to try. For me, this one definitely did not disappoint. Amazing book! This is a great read. It has romance, adventure, and faith all mixed in to create one of the best reads I've had. A lot of Christian Faith book are over the top pushing faith. However, this one is perfect. I loved the historical flow with this. Where to start?Izzy, the main character, leaps off the page with her quirks, insecurities, and inner voice. I can relate to her insecurities, her feeling weak and helpless. She grows considerably over the course of the book, however--maybe a bit unbelievable at times, but inspiring.Miss Margaret is straight-laced but kind, and hides a different side. She is a mother-figure to Izzy, who does not remember her birth mother.Jonathan is a sweetheart; though a bit over-protective and secretive, he loves and gives time after time. He has a temper, as does Izzy, and that's where it threw me a bit. *slight spoiler ahead* I don't quite understand Izzy's sudden anger and distrust of him--it seems incongruous with the deep friendship they have, even though she learns seemingly negative things about him.Tubs is also a fun and sweet character: chatty, sunny, and adventurous. . . . He pulls her into the mystery surrounding Jonathan, but he has no evil motives. I love the old castle and all that it contains! I wish this section went on longer. The inventions of Jonathan are fascinating.The story shifts gears midway and American Indians are introduced, as well as people from Jonathan's past. Izzy journeys because it is required of her and to find belonging. There are wild animals, cold waters, snow, legends . . . and the power of forgiveness and God's Word bundled into the story. The writing itself is first-person present tense and a sometimes wordy and confusing, but also often lyrical and delightful, such as comparing a man's sideburns to two bushy squirrel tails. There are several typos and misspellings, but hopefully these will be corrected in the final version (I read the ARC). The first setting in England seems slightly out of its time period, and occasionally the present tense awkwardly shifts to past tense, but for a first novel, it's well-done, and truly a moving story of complexity and character. White Wolf and the Ash Princess was a journey, in so many ways. Not only was it a physical journey for Izzy, the main character, but it was an emotional journey for her as well. She went from a young girl, fresh out of the worst of tragedies, cursed with terrible scars and a blank past, to a young woman, still carrying her scars, but learning to accept them and to accept the pieces of her past that were harsh and unforgiving.I loved White Wolf. It was such a beautiful story -- made even more beautiful by Tammy Lash's vast descriptions -- and I really felt that the characters were speaking to me personally, and helping me to grow and forgive my own past.Absolutely worth every star it gets. My reviewGenre: Historical Fiction.My Rating: 3 and 1/2 Stars.Recommendation: 13 and up.My favorite character is: Izzy is weak at first but I think she grew up well through the book. She still had some growing up to do, but in the end I liked her a lot. I liked how she forgave the people that hurt her.My Verse for Izzy is Psalm 27:1The Lord is my light and my salvation; whom shall I fear? the Lordis the strength of my life; of whom shall I be afraid? KJV (King James Version)I wasn't sure how to rate White Wolf and the Ash Princess because it was different from most books I read, in the way they go to "the New World" but I thought it was well written, and I liked it.I received this book in return for my honest review; All of the thought are my own. Historical or fantasy? It's a fine line.White Wolf and the Ash Princess by Tammy Lash, reads like a historical novel. But some elements are certainly fantastic. Is that a bit of Steampunk I spy?The novel is in two parts. The main character, Izzy, suffers from childhood amniesa. The first part deals with her attempts to discover her past.The second part is the price paid for memories and ultimately, how Izzy will choose to handle her past and if she will embrace her true identity.Seeped in Native American lore, shrouded in mystery, and full of adventure, White Wolf and the Ash Princess is a book that will keep you guessing until the last page. Out of the thousands of books I've read in my lifetime, there have been a handful that affected me profoundly and forever changed my heart. This is one of those books. It is not only a beautiful, powerful story, but it spoke to the deepest part of my soul with its gentle wisdom, the wisdom that comes from above, demonstrating God's love and the power of forgiveness in an amazing way. It made me cry, but good tears, cleansing tears. Ms. Lash has created characters who will live in my heart until the end of my days. I highly recommend this book, especially those who are hurting! If you love Christian historical fiction OR fantasy, this is the book for you!White Wolf and the Ash Princess is an exciting, well researched adventure with compelling characters and an encouraging message of forgiveness. For many scenes, my eyes were glued to the page, desperate to read what happens what next. I cannot wait for the sequel! Tammy Lash - Tammy lives in Lower Michigan with her husband and her three children. Izzy's home in Michigan's Upper Peninsula (Munising) is where she and her family enjoy exploring. Tammy enjoys hiking, kayaking, beach wandering, "hunting" for birch bark and hopes to someday find a porcupine quill. White Wolf and the Ash Princess is her first novel. She is published in Keys for Kids and has been in children's ministry for over twenty years.